It’s been four years since I started drawing pears! Things have come a long way since then (certainly in my ability to draw). 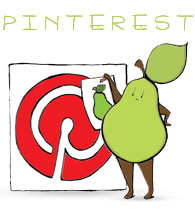 I joined Etsy where I combined by love of knitting and crafting with my love of pears. I’ve also gotten to meet so many great people through the website and craft fairs. And most importantly, I’ve been able to vent all of my daily grievances through Angry Pear (as opposed to ONLY complaining to friends and family). I want to thank you all for following these comics– it really means a lot to me. 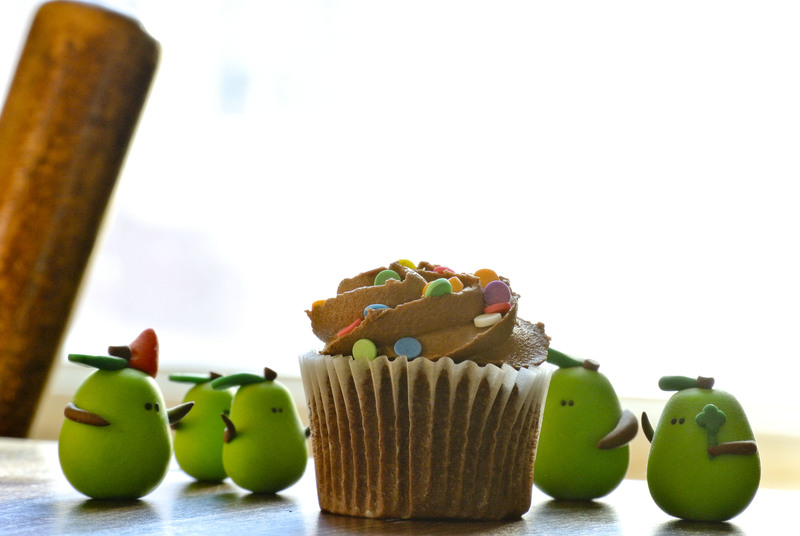 For my own birthday, I wish I could have a cupcake that is as proportionally large to me as this cupcake is to the pears. 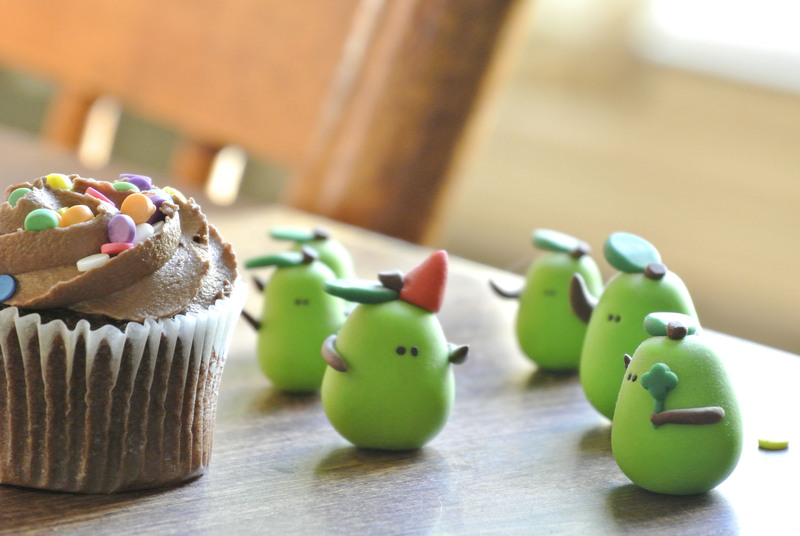 I used to sell these little birthday pears in my Etsy shop, but I’ve sold out and haven’t had a chance to make more. If you’re interested in them though, just send me a note! 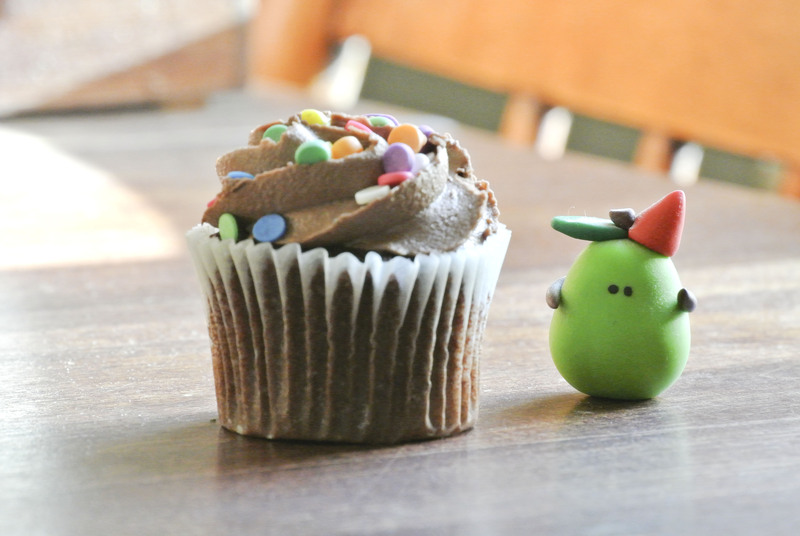 Categories: Polymer Pears | Tags: angry pear, birthday, clay, cupcake, cute, Etsy, fruit, Pear, photography, polymer, sweet | Permalink. 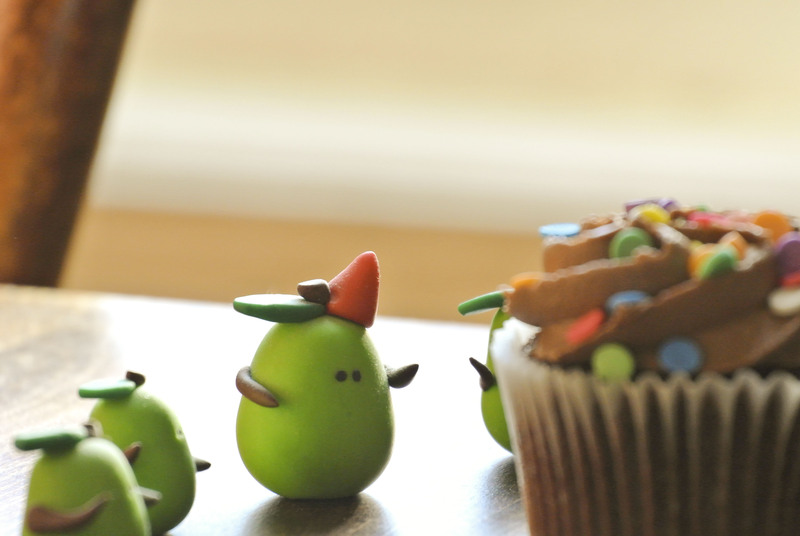 Happy birthday angry pear and happy belated birthday to you to Drew ! Have a fruity juicy birthday. Happy Birthday Pears! To many more fun years! Happy Birthday Angry Pear and Congrats Drew!